Why Choose Assisted Living Directory? Welcome to the Assisted Living Directory! We are a comprehensive resource for seniors and caregivers searching for assisted living information, services, and facilities. Our free resources provide you with assisted living by care type, specialized assisted living, and senior living facilities near you. We also offer a free helpline that you can call to receive expert information regarding assisted living. To get started, learn more about the services we provide here at the Assisted Living Directory. Assisted living apartments are available for seniors who require basic assistance, but no skilled nursing care. A memory care facility offers specialized care for seniors with Alzheimer’s disease or some other form of dementia. For seniors requiring the highest level of care, nursing homes provide skilled nursing care 24/7. Take an in-depth look at each of these three care types to determine which form of assisted living is best for you. You might receive assistance with personal care and bathing. Someone may prepare your meals for you. Laundry services and socialization are other types of services that are inclusive at most assisted living apartments. The goal of assisted living is to provide seniors with aid for completing basic needs so they can continue to live on their own with some independence. This enables seniors to have more one-on-one, constant interaction and supervision by staff. In a memory care facility, residents receive specialized services aimed at helping them improve their quality of life. These services range from cognitive and physical therapy to personal assistance and medication management. If you are like most who are searching for a nursing home, you may be asking yourself, “Is there a nursing home near me?” The good news is that there probably is and we can help you find a nursing home. A nursing home provides the highest degree of personal care and medical services available for seniors who live in a retirement community. In a nursing home facility, residents have access to all of the expected assisted living services, as well as memory support and 24/7 skilled nursing care. This ensures seniors with the most advanced care needs are able to get the specialized care they require. In a nursing home, residents have close supervision and monitoring via a structured community setting. While nursing homes were once considered institutional and overly depressing, often referred to as hospice homes, this is no longer the case. Nursing homes are updating their community setting to be more like home for residents. When searching for a nursing home near you, consider the many possibilities of services and environments now available for residents around the US. You can find luxury assisted living apartments, as well as low income assisted living services for seniors who need affordable care. Military veterans and their spouses are able to access veteran assisted living homes, while those who want a spiritual senior living experience will want to check out a religious assisted living facility. In addition, several national organizations provide assisted living services. For example, most of the religious groups including the Catholic, Lutheran, and Presbyterian affiliations have nonprofit services available for seniors. These services typically include assisted living apartments and can be accessed via the religious organization. Adult day care is another type of specialized assisted living. With adult day care services, seniors stay at a care facility for a limited number of hours each day. This gives caregivers who are taking care of seniors in the home a respite period. Daycare for seniors also provides homebound seniors a chance to socialize. Socialization for seniors is important for their physical health and mental wellness. In-home care is another option for seniors who would prefer to remain in their homes. A variety of caregiving services can be offered with home care. Continuing care retirement communities often include assisted living, memory care, and nursing home services all within a single community. While this type of senior care is the most expensive, it ensures a senior will remain within their network of friends and providers. Ultimately, there are specialized assisted living services available all around the nation. These services allow seniors to find care facilities or levels of care that best meet their needs. Choosing the right assisted living can make all the difference in the lives of a senior and their loved ones. You might be thinking, “Are there assisted living facilities near me”? 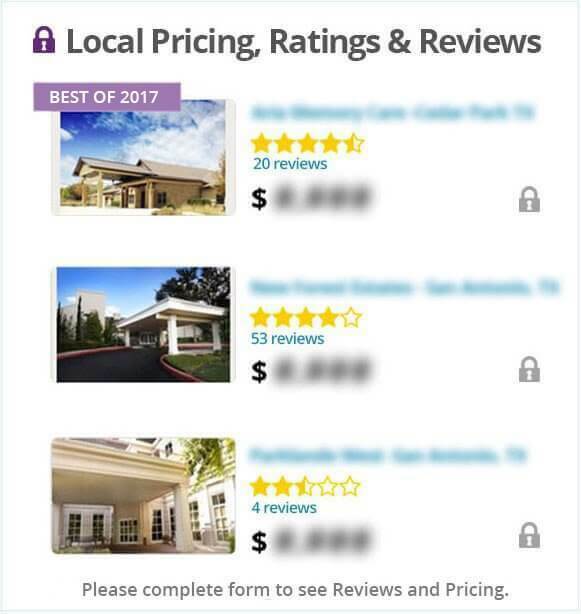 If so, you can find out where these assisted living apartments, memory care facilities, and nursing homes are located by accessing our comprehensive assisted living directory. Since 2005 we have been providing information about assisted living facilities and services for seniors. For more than a decade we have compiled comprehensive profiles of assisted living corporations. We also have an extensive collection of videos, interviews, and reviews of assisted living services. Start by searching for pricing, ratings, and reviews according to a zip code or city. From there you can dive right into the in-depth data that we offer here. Want to speak to someone who can help you find the information you are looking for? Call our toll-free assisted living helpline to speak with an assisted living expert. Let Us Know! If you are aware of any facility or service listed on our site that has had safety or quality issues, please let us know by using our contact form. We will investigate and remove any service or facility from our directory that we feel does not uphold the highest standards of quality and safety. As our site is growing, we appreciate our user feedback to inform us of news or issues happening in the assisted living and senior care industries. This helps us to ensure that our site is accurate and useful. Our Interviews With Assisted Living Facility Owners, Administrators, and Industry Experts! Gene talks about the mission of PLI, which strives to eliminated the failures of current ‘search and rescue’ standards for seniors and individuals that ‘wander’ due to cognitive impairments. Gene also introduces their new division, PAL (Protect and Locate). Tammy Merson – Senior Care of Goldsboro, Inc. Thank you to Tammy for sharing your expertise and insight with Assisted Living Directory, which is extremely valuable to those families considering assisted living, as well as anyone interested in starting their own assisted living home or senior care facility!